I’m talking about TVs that come with an integrated forward facing camera installed, TV’s that feature an upgradeable card slot so that you don’t need to replace the hardware and TV’s that offer remote assistance where the helpdesk can actually program your TV for you if you’re struggling (Sharp Aquos is offering this service). We’re also seeing super slim bezels on offer from a lot of brands, with some a mere 3mm thick- very gasp worthy. One of the new TV areas I’m intrigued by is the increase in peripheral devices, as these allow you to upgrade your TV without buying a new one- such as snap on cameras for Skypeing. I tend to be fairly precious with my gadgets, having had too many cracked screens and toilet droppings for my liking, and gadget makers are finally catching on that we really want our precious gadgets protected. At CES 2012 there were numerous companies displaying all sorts of interesting peripherals designed to keep your products safe from knocks and bumps, from child friendly iPad cases (knock em, throw em, can’t break em) from companies like M-Edge to crash proof iPhone cases from Casemate and Benzitech. 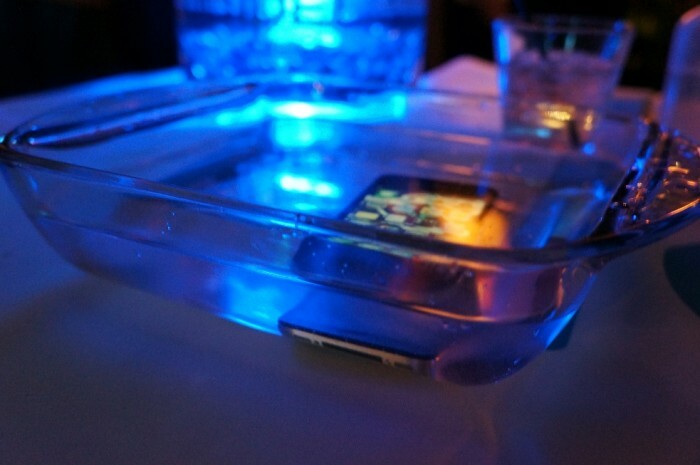 We also saw some innovative ways of safety proofing gadgets, with start-up company Liquipel a prime example, as they have created a special coating which allows your gadget to be dropped in water and not die. Yes, they don’t guarantee it and it only allows a dip not a full on swim, but their coating doesn’t affect the red water level in the iPhone and seems pretty exciting. IoSafe were another company who extended their range of rugged hard drives with one that is shock proof, fireproof and waterproof (for 36 hours at a depth of 3 feet) to show how important they think keeping your digital data safe is. Their hard drives can also withstand 1 million volts from a Tesla coil, but that was more of an entertainment piece than something the average person need worry about. We also saw rugged gadgets that had more of a home feel to them, such as the Qooq tablet. This iPad looky likey is actually a heatproof, waterproof kitchen friendly cookbook compendium which allows users to play with its display whilst feeling like they’re Jamie Oliver. Yes, it comes with 3600 recipes and 1200 videos, but the fact that its kitchen proof is the biggest selling point here. 2011 was the year of the 3DTV, 2012 looks to be firmly in the domain of the 3D printer. These clever machines can whip out a basic CAD design in no time at all and give you something stylish and wearable to play with. MakerBot is perhaps the most well known in the 3D printing world and they were evident at the show, both with their brand new 3D printer and with their printed accessories being worn on the FashionWare catwalk. The new MakerBot machine is called the MakerBot replicator and is able to print 3D products in 2 different colours, which is pretty amazing, and opened us up to a world of future possibilities. It also comes pre assembled which is nice, as having to go IKEA on the MakerBot Thing-O-Matic put many people off. Objects printed are also larger with a maximum size of 8.9 inches by 5.7 inches by 5.9 inches. MakerBot is not the only player in the 3D printing game as Cubify also announced a 3D printer of their own- the Cube. Smaller than MakerBots offering it uses cartridges rather than spools of plastic thread to create objects and comes with its own App store, where you can learn how to create custom belt buckles, turn your voice into a bracelet and more. This addition is a really nice user friendly touch which makes this technology a lot more accessible, even if the $1299 price tag is still pretty painful to think about. They say that they are looking at working with the Kinect so you can sculpt an object with some hand waves. It’s good that MakerBot has some healthy competition and if more companies get into this market, the likelihood that homes will start to own their own 3D printers gets ever closer. Health and fitness gadgets were an ever present trend at CES 2012, with more companies getting on the fitness bandwagon. This was evident both in the stands with the variety of products offered and in the accoutrement’s the journalists themselves wore, with 1 in 3 carrying a FitBit to track how many steps they’d been walking during the conference. The additions to the gadget fitness line up ranged from the unusual to the everyday, and some of the products on offer were fairly mind boggling in their specs. 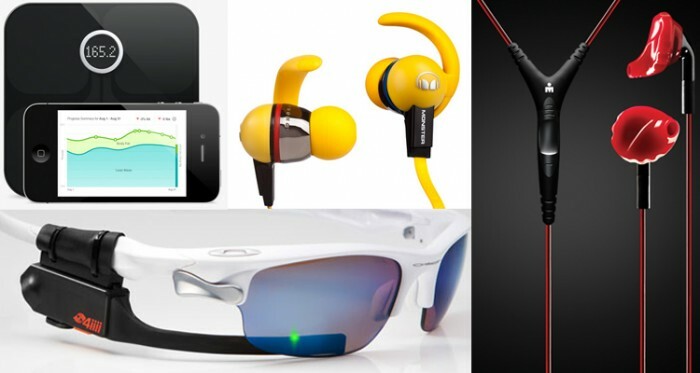 The most accessible type of fitness gadgets revolved about small adjustments to already existing products, such as a new range of Yurbuds headphones (headphones designed to NEVER slip out your ears when working out), a new iSport Headphone from Monster (created to be machine washable and now in new colours with a new more flexible cable) as well as FitBit releasing info of a new pair of scales that lets you always stay connected to your weight (shudder). Called the FitBit Aria, the portable scales measure your BMI and body fat and wirelessly stream your data to the web. A nice touch is that you do get rewarded virtual badges for achieving your goals, and they’ll create some neat graphs for you to track your progress on. On the more exciting end of the fitness gadgets scale lies the Sportiiiis goggles, which combine eyewear protection with real time visual feedback on performance- perfect for any athlete or enthusiastic amateur wanting to improve their snow skills. You simply attach the Sportiiiis to any glasses and it will give you feedback on your heart rate, your goals and can verbally tell you to slow down or speed up- which I think is pretty impressive! 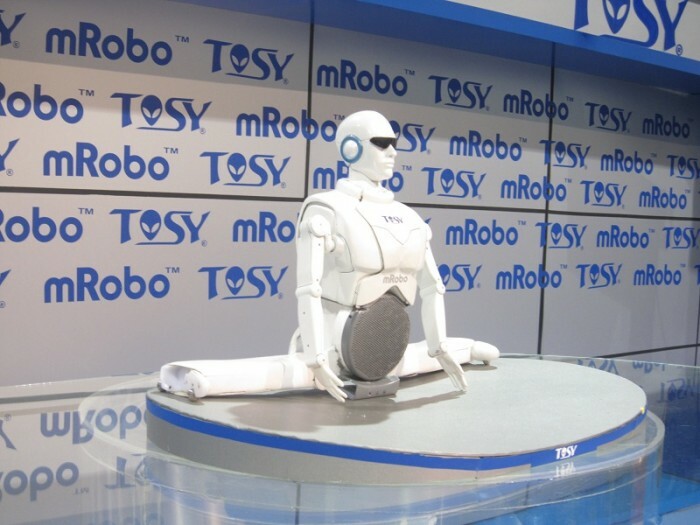 Robots are becoming a more understandable concept nowadays, with many a Mint or a Roomba making it onto people’s wedding lists (you know who you are), so the fact that CES had some new robots on offer won’t come as a huge surprise. What was interesting though is that I saw ones I could actually imagine having at home, as there were a few cool surprises. 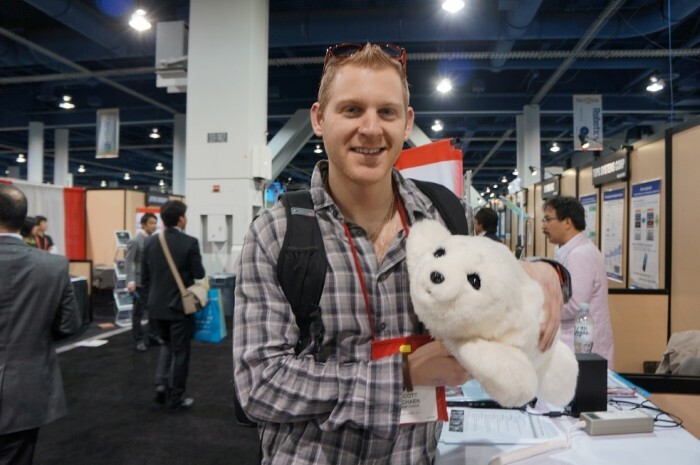 Every year, the vendors at CES trot out the same old machines- the cuddly Paro seal that’s good for therapeutic use (but horribly expensive and bad if your hate seals) an automatic robot that helps people with rheumatism, but none of this ever goes into mass production or really reaches UK shores. Well, there was still a lot of that sort of that going round, but there was also a few products that made you think hmm. One of them (sigh) was presented by Justin Bieber, the mRobo Ultra Bass, a cool looking dance robot. What made this so unique was that the robot is actually a speaker which folds up and down Transformers style, so it can be easily packed away and dances to whatever beats you play through it with per programmed moves. Necessary- no, but it is affordable ($199) and is the type of novelty gift that you imagine will last a Christmas or so. 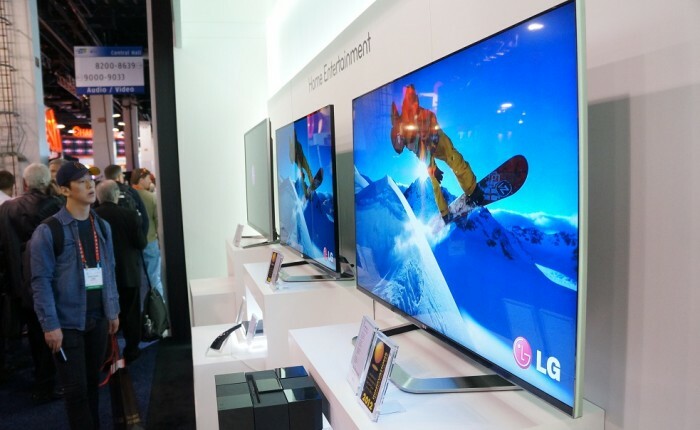 What do you think about my 2012 gadget trend predictions? Are there any gaping errors in my account or do you want to praise me for my astute analysis? Get commenting below.